Traditional moist cake with single malt Speyside whisky, organic flour, butter and local organic eggs. The marzipanned and iced versions are covered with handmade almond paste made with organic almonds and homemade fondant or royal icing. No palm oil or additives. You cannot buy anything like this in the shops! 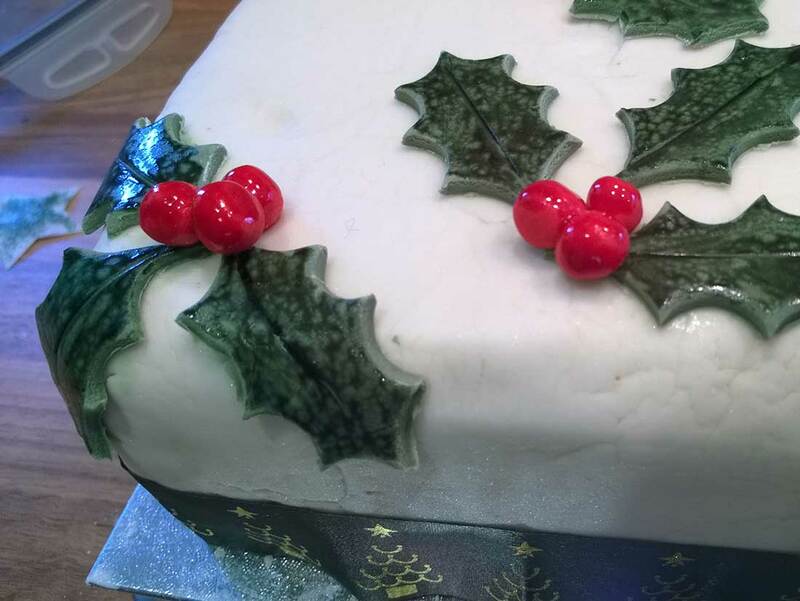 Mini Christmas cakes start at £3.99 and 'naked' cakes from £16. A fully iced, fully marzipanned cake starts at £24. All decorations (except ribbon) are handmade and edible.